Mmmmm. Your life looks yummy right here. 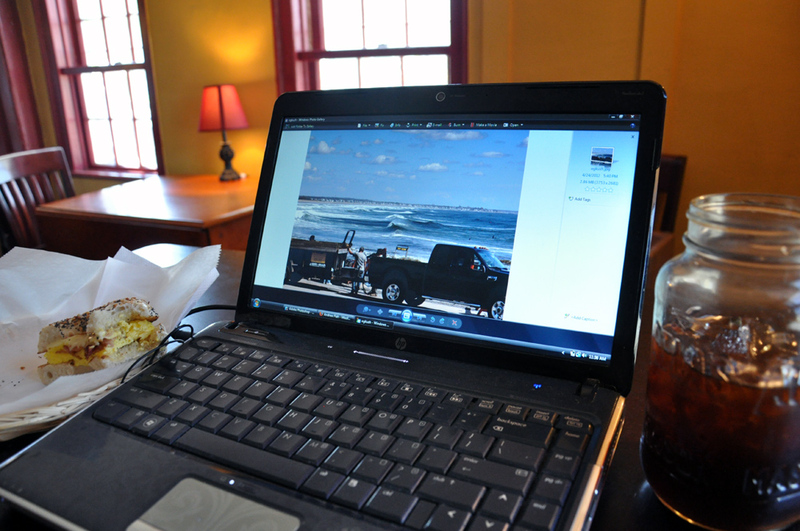 All my faves: egg sandwich, surf, iced coffee… all in between sessions, no doubt! The way life should always be.